Eugene Fiteni was born on September 17, 1884 in Cospicua, on the island of Malta. He was invested with the habit as a novice on September 16, 1900, and professed first vows on November 10, 1901. He was ordained to the priesthood on December 18, 1909. 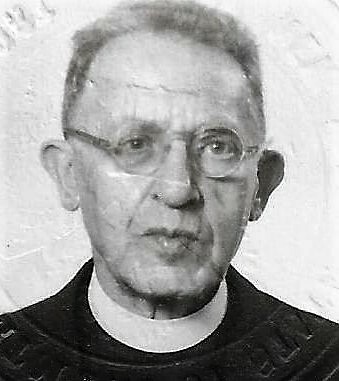 In August 1920, he came to the United States and was assigned to Our Mother of Good Counsel Parish in South Philadelphia, where he served until 1927. He was also secretary to the Vice Province's Commissary Provincial and archivist of the Vice Province. He then served as pastor of the newly established Saint Nicholas of Tolentine Parish, Philadelphia, for nine months, until he had to resign because of ill health in July, 1928. In August, 1928, he was assigned to Our Lady of Pompeii Parish, East Vineland, New Jersey, where he served until April, 1948. He was assigned again to Saint Nicholas of Tolentine Parish, Philadelphia, for about a year, and in April, 1949, he was transferred to Our Lady of Pompeii Parish, Dobbs Ferry, New York. He ministered there until his retirement in 1963, and then remained there as a member of the community. On February 28, 1966, he suffered a fatal heart attack and died in Roosevelt Hospital, New York, N.Y., at the age of 81. His body was brought to East Vineland, where his funeral was celebrated in Our Lady of Pompeii Church. He was buried in the Augustinian section of Saint Mary's Parish Cemetery, East Vineland, N.J. Older Post Cornelius J. Ford, O.S.A.